الخيار الأفضل للحصول على المتعة والاسترخاء, Marco Polo Motor Inn يقع في منطقة Ashfield في سيدني. يقع الفندق على بعد 9 km من مركز المدينة، ويؤمن الوصول إلى أهم مراكز المدينة. يضفي محيط الفندق اللطيف وقربه من Haberfield Medical Centre, ‪Rouse Hill Estate‬, Leichhardt Medical & Dental Centre سحراً خاصاً على هذا الفندق. يقدم Marco Polo Motor Inn خدمات لا غبار عليها وكل أشكال اللياقة وحسن الضيافة اللازمة لإسعاد ضيوفه. تتضمن الميزات الرئيسية في هذا الفندق: واي فاي مجاني في جميع الغرف, متجر, خدمة التنظيف يوميًا, خدمات بريدية, خدمة سيارات الأجرة. تتضمن كل غرف النزلاء وسائل الراحة والتسلية المصممة خصيصاً لضمان الراحة القصوى للضيوف. كما أن مجموعة الخدمات الواسعة الموجودة في الفندق لضمان راحتك تترك لك الكثير من الخيارات لقضاء وقتك أثناء فترة إقامتك. إن كنت تتطلع إلى إقامة مريحة وهادئة في سيدني، فستجد في Marco Polo Motor Inn بيتك الثاني. Will never come here again as motel staff will try to impose additional charges on you. When I booked email motel that I would be late arriving due to late arrival of my flight to Sydney. They told me that's okay because they have a night manager. When I arrived night manager charged me an 'late arrival fee' Neither Agoda nor Marco Polo Motel ever told me there would a 'late arrival fee'........if I had known I would have looked for another accommodation place. They took our towels to wash them but never replaced the bath towels. Not much fun drying yourself with a hand towel. 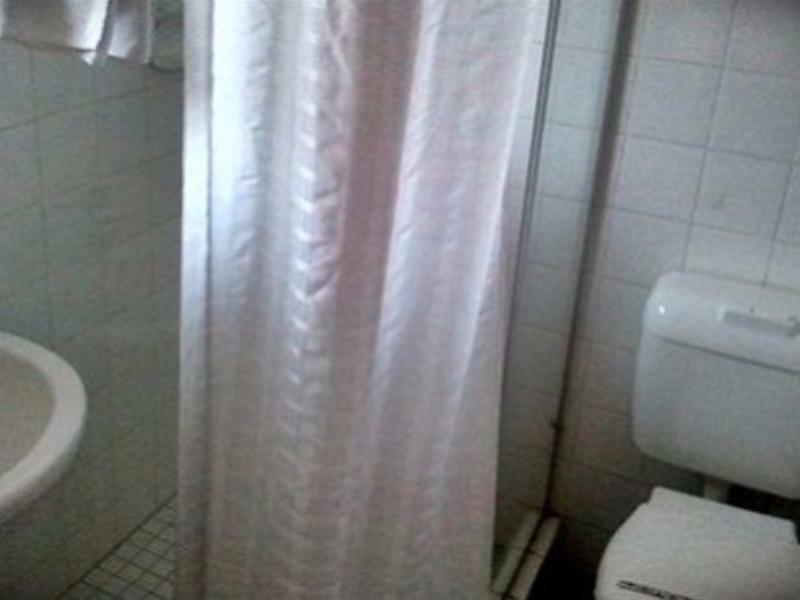 Phoned reception and they promised to deliver new towels but they took two hours to do this! Another gripe, there were three knives, one fork and three spoons in the room..and it was a three bed room, hard to understand how that was supposed to work. Thank you for taking the time to provide us with your feedback. We are greatly disappointed to hear of your experience with us, and would like to reassure our guests that this is not of our regular standard. Should guests experience any issues with their stay, we welcome them to come forward to our reception team, as well as our house keepers as they are always happy to assist. Rest assured, we have spoken with the staff involved, and understand that this is not acceptable. To ensure the constant improvement of our facilities and accommodation, we have taken the necessary steps in retraining these members of staff, to ensure a comfortable experience for all of our future guests, as well as utmost positive hospitality. Should you wish to discuss this further, we would love to hear more about your experience, so please do not hesitate to contact one of our friendly team members. We hope to have you again, kind regards. Marco Polo Motor Inn - Sydney. Staff are very rude to the customer. Paid upfront for 4 x nights. Daughter tried to enter motel at 11.30pm on the 3rd night & was refused entry & was told that the room has not been paid for & threatened that someone else was is her room & her belongings were disposed of. After an hour they found the receipt & did not apologize for the inconvenience. They opened room & nothing had been toughed, although the ordeal was imbarassing. Very disappointing staff assistance & will not be back !!! It is one of the hotel I feel comfortable as the cleaning service is good. Oven can let me enjoy toast. It needs 10 minutes to walk to station, but it is not difficult to find. You can choose both train and light train to city, it is convenient. We thank you for taking the time to provide us with your feedback. We are are delighted to hear of your experience with us, and are glad that you found our facilities and accommodation, comfortable and convenient. We wish to welcome you again soon. Kind regards, Marco Polo Motor Inn. Stayed here because it's near the train station and light rail station. So that we can park the car here and take train to Sydney city. Has its own secure carpark. Price was not bad, quite average compared to other hotels and motels we stayed in NSW. To note here is that we drove on hired car so location was a 100 of 100 for us, as the hotel lies only <20mins away rush-hour time from the CBD. Note that public transport (i.e. train) could be an issue without car. We stayed for 11-days and the total value in cost was amazing. Cleanliness was good as everyday we have the option to have the room cleaned. Facilities... there are washing machines and dryers downstairs which was great considering the lengthy stay we had. Owner is a great Asian folk with lots of Australian values and knowledge. Have stayed at several hotels in this area as we have family nearby. This is the best customer service out of all. They allowed us early check-in which was great as we had flown in from overseas and badly needed to sleep.The room was a good size and though nothing fancy it was fine. Bathroom small but adequate. Generous complimentary items including tooth brushes and shaving gear. Would be happy to stay again. the hotel is not in the city, but train station and bus stop just minutes walk. take bus (the stop is infront of the hotel) to city just need 25 minutes. the hotel is old but the room is very clean, neat and tidy. if you drive a car, it provides free parking and wi-fi. the air-con in my room made a big noise, so i had to turn it off. actually, i still can sleep weel without air-con. Had one noise complaint and apologied to the staff and promised it wouldn’t happen again, but was told to leave and couldn’t even stay the night, this as at 12:30, me and my friends had to stay in my car as we had travelled 6 hours to get there. No refund and no respect. Really nice staff. Problem with TV in unit. Staff tried a swap and then offered us another unit. Lots of help with where to eat (try Summer Hill 5 mins walk). Late night group came back, talking loudly in well and sound echoed strongly. Thank you for taking the time to provide us with your feedback. We are delighted to hear that you appreciated our always friendly hospitality and close proximity to local amenities, such as eateries. We strive to always improve upon guest experiences, and as such we have recently distributed new universal TV remotes into guest rooms. If there are ever any issues with noise, we would encourage guests to notify reception so that the issue can be dealt with promptly and with minimal disturbance to themselves and other guests. We would love to welcome you back with us anytime. Kind regards, Marco Polo Motor Inn - Sydney. Train, light rail are near by, it's very convenient to get everywhere in Sydney . The hotel situates in Summer Hill village, there are some eateries. The room has been renovated with clean bed and comfort shower. As we stayed there for ten nights , laundry equipment is highly demand for us, we're glad to have it. Thank you for taking the time to provide us with your feedback! 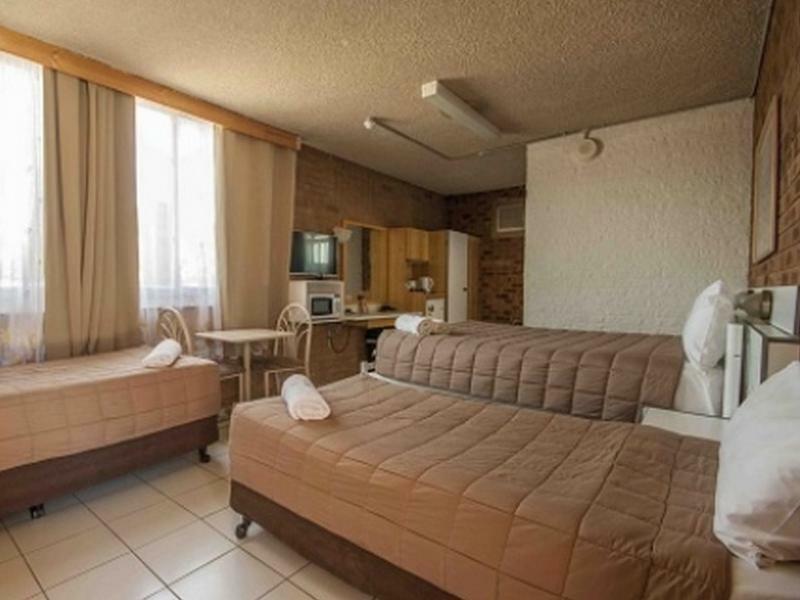 We are delighted to hear that you appreciated our convenient location (close to public transport and local amenities) as well as our high standard of cleanliness with daily room cleaning, and laundry facilities for guest use. We always strive to deliver the best possible guest experiences, so we are very happy to hear that you found our newly renovated rooms to be comfortable. We thank you for staying with us, and would love to welcome you back anytime! Kind regards, Marco Polo Motor Inn - Sydney. Good location - for Car parking - Free - near Summer Hill Train Station about 10 Mins walk ( nearby the Station you can find lots of Foods outlet - Super Market IGA. ) Important . However, my room window cannot be close. Needs to change - Double Glazed Glass as You can hear Airplanes sound taking off from Sydney Airport just Moring & Evening passed 10 pm all okay. Taking sound from next room can be heard too. ( thin walls ). Staff cleaning room are Goods. Although the hotel is actually located next to highway and nothing regarding in the surrounding, it can access the light rail and train with a distance of 15 minutes of walk. There is supermarket, restaurants, cleaning service near the station, it can serve for the purpose of long stay. Basically okay. But my room is located in the end of the corridor, it may the reason that the WiFi is not active in most of the time. Since my plan is over seven days plan, so the towels have not been changed for few days. It was a good stay, easy parking, used public transport, Trains and buses to get to and from the city, nice room, air con, tv, plates and cutlery if wanting own food, also had a microwave. Much easier and far better value than staying in central city and paying for parking. Nice clean room. It had TV, Microwave oven, water heating kettle and AC. 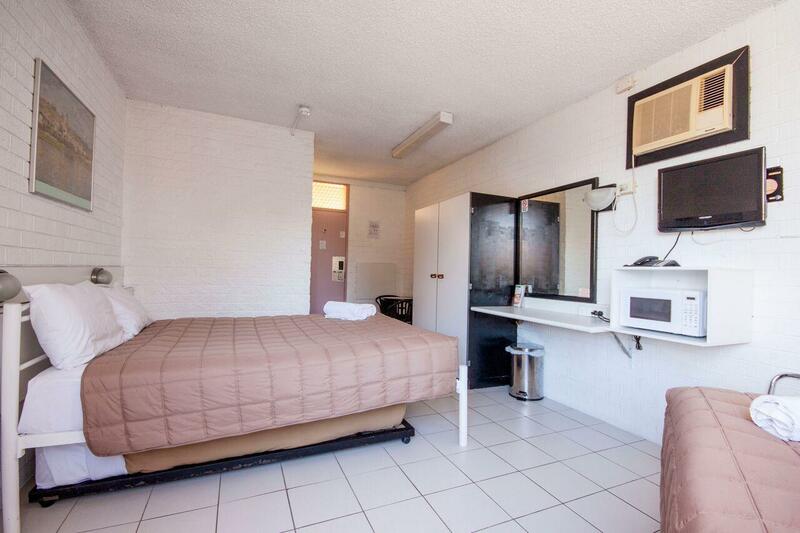 Room size is big enough compared to the tiny rooms in the city area that you get for this price. We were there only for 3 nights and most of the day we were sight seeing and only came to the room to sleep at night. So this room perfectly serves that purpose. Dont expect anything luxurious. 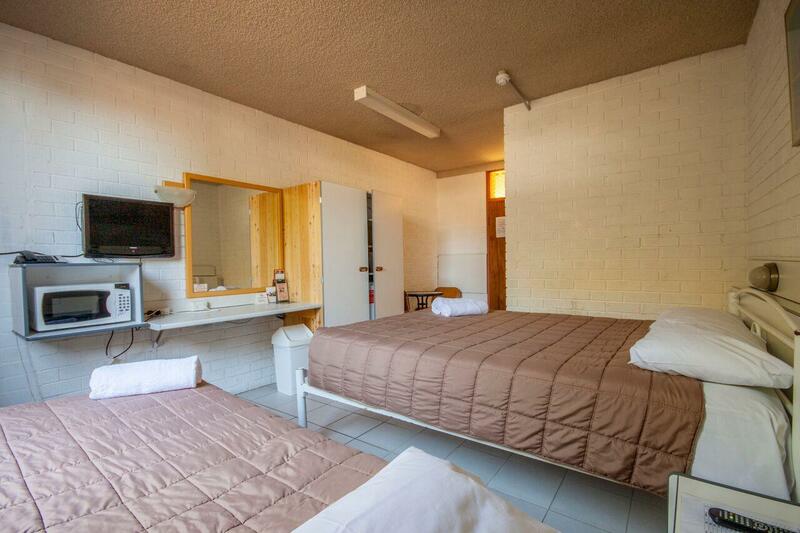 But for a budget hotel its perfect. It was an awesome experience with Marco Polo Motor Inn. Even though its at a deserted location, it is very quiet and peaceful. There are 2 mode of transport to go to the city. Summer Hill station which is a few minutes away and 3 buses number 461, 480 and 483 that takes you to Central station. The staff was extremely friendly and willing to help you out. They provide free wifi too.